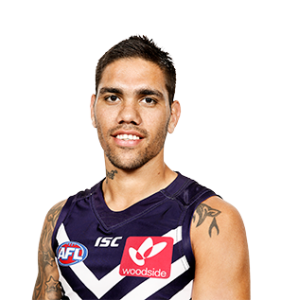 Walters improved his goal kicking efficiency with 44 goals to 19 behinds en route to finishing as the club’s leading goal kicker in 2015. He also set a career-high 54 tackles. His professionalism and preparation have improved every year for the past three or four years and is at a level now that’s very elite. He’s fit, strong and has really prepared well for the season. Has increased his work around the stoppages so we can use him in and out of the mid eld and forward line.